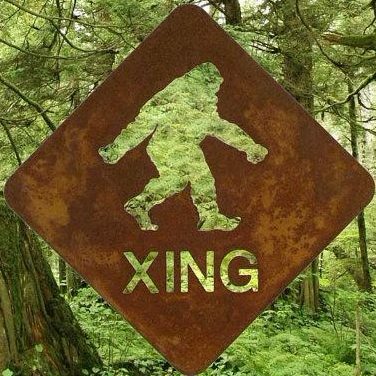 Note: SCENIC is not the only platform gathering Sasquatch stories and publishing them. We found this interesting chronicle in The Delta Discovery, a Yukon news outletTo share your Sasquatch stories with us, please use the ‘Submit Story‘ button. This sighting occurred back in the 1930s on the island of Nunivak. There were three men who went hunting, one of which was Fred Weston Sr. who was a resident of the old village of Nash Harbor. He was born around 1915. Nunivak Island is a large island west of the mainland of the Yukon-Kuskokwim Delta, just offshore from the Nelson Island, separated by 18.6 miles of water at the nearest points of land on the two islands. Mekoryuk, with a population of about 200, is the only community on Nunivak Island, situated on the north shore of the island. Besides humans, musk oxen and reindeer inhabit the island. As they were waiting to sleep, the dogs outside began barking. The next thing they knew, someone or something was trying to break in through the door of the sod house. The terrified men got out their .30-.30 rifles in fear of the unknown. Whatever was trying to enter the sod house was too big to fit through the doorway! Soon after, it gave up and started walking away. The shaken men, as soon as the dogs stopped barking, went out to look at what had been trying to enter their shelter. What they saw was a tall, silvery-colored creature walking upright and away from the old fishcamp into the distance. It soon disappeared from view behind a hill.